Smith Family: Diana, Kevin, with identical twin deck hands Scott & Grant. 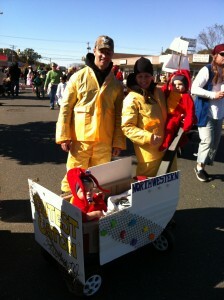 We are in a Halloween Parade at the Jersey Shore. 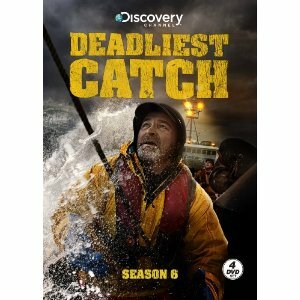 Deadliest Catch is our favorite show to watch as a family, and we always root for the Northwestern. 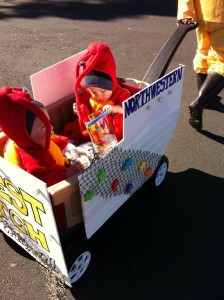 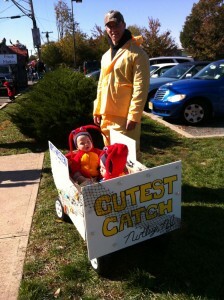 Kevin is from Seattle, and this costume idea was a great reminder of home for him. I had so much fun making it. 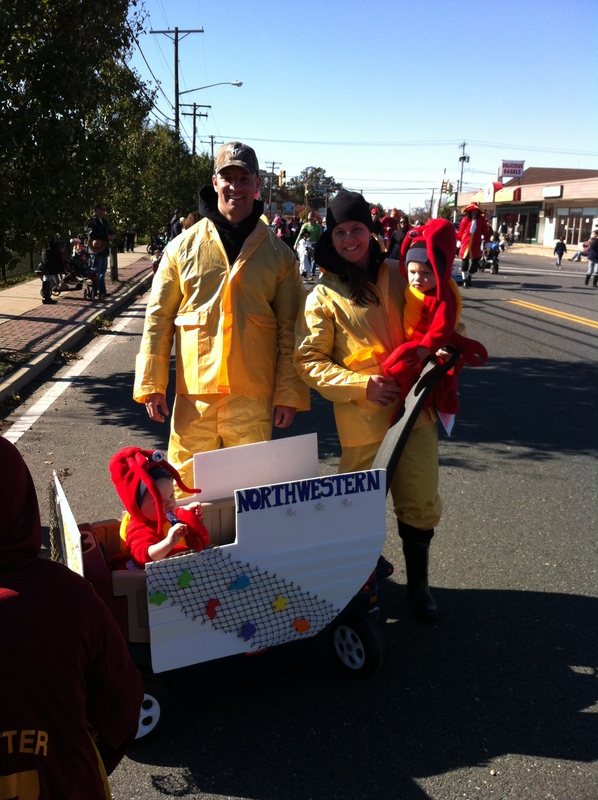 Kevin(husband/father), Diana (wife/mom), Scott & Grant (our identical twin boys).